The report also includes a Special Focus pull-out section on the impact of the ‘war on drugs’ and its implications for prison management. Significant international developments, recent research projects and precedent-setting court decisions are highlighted throughout. 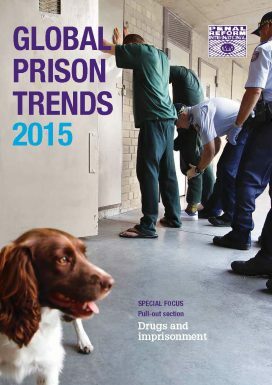 Global Prison Trends is intended to be an annual publication. Tracking trends and challenges in criminal justice systems will be vital to designing and assessing measures intended to strengthen the rule of law as a means to advancing sustainable development.